Welcome to Fall - Roberts Architects LTD Roberts Construction Group, Inc. I don't know what you think, but I love the Fall in Chicago. Beautiful colors, crisp nights, and Cubs in the Post Season! 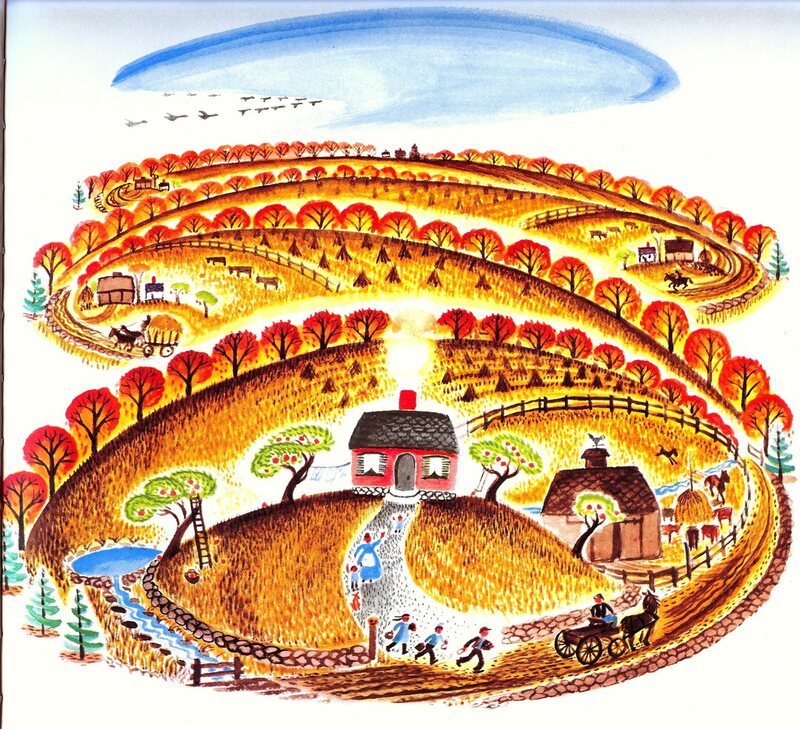 This illustration by Virginia Lee Burton from her classic "The Little House" embodies Fall. "The Little House" is one of my favorite stories from my childhood. A story about a quintessential country house that gets surrounded by the big city and becomes rundown. But then a caring and talented architect buys the little house, renovates and restores it into a beautiful home again. Okay, I admit I made up the "architect" part, but it was an inspirational story for me as a child.